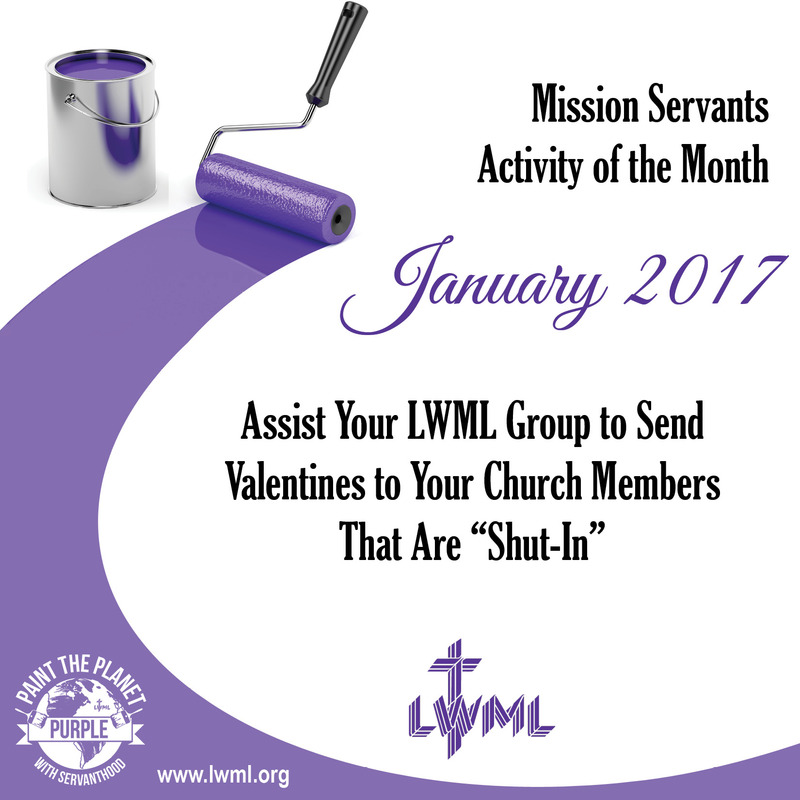 Assist Your LWML Group to Send Valentines to Your Church Members That Are "Shut-In"
The internet has many free printable Christian valentines. Print off a different type of valentine for each lady in your society or Bible study group, making sure you print enough of each type of valentine for each to be sent to all your members that are shut-ins. After printing these off, make a packet of valentines, envelopes, and address labels for each lady in your group. At your next meeting, spend a few minutes signing and adding a personal note to the valentines. You may want to encourage your ladies to bring postage stamps to the meeting; then on the way home all those wonderful valentines can be put in the mail. Think how wonderful it will be for your shut-in members to receive all these different valentines! Download this flier to print and share! During this Advent Season one way the ladies at St. Luke's Evangelical Lutheran Church, Dedham, MA began preparing their hearts for His coming, was to make and fill with food, 15 Reverse Advent Calendar Boxes. Each day something is added to the boxes. These boxes were completed on Christmas Eve and were lovingly given to the Dedham Food Pantry. What a wonderful way to prepare for the coming of the Lord - giving to those in need. The Mission Servants Committee would love to hear about and share your mission servant activities! Please contact us through the LWML email at depgo@lwml.org. Thank you!